Dr. Tariq is a Board Certified Physical Medicine and Rehabilitation Specialist (Physiatrist). He earned his undergraduate degree with honors in Biology, Business Management, and Anthropology at the State University of New York at Stony Brook and obtained his medical degree at Lake Erie College of Osteopathic Medicine. 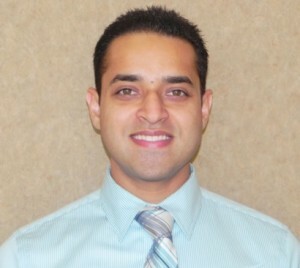 Upon completion of his medical education Dr. Tariq joined the Department of Internal Medicine at Mount Sinai Hospital Chicago as an intern and went on to complete a three year residency in Physical Medicine and Rehabilitation at Marianjoy Rehabilitation Hospital – Wheaton, Illinois, where he was awarded as the Resident of the Year. During his internship and residency he received additional training at RUSH University, Loyola, Schwab Rehabilitation Hospital, Rehab Institute of Chicago, UIC and the VA system. He then went on to University of Wisconsin, Madison and completed an additional 6 months of specialized training in Pain and Musculoskeletal Medicine. Dr. Tariq specializes in Non-surgical orthopedics, Stroke Rehab, Traumatic Brain Injury Rehab, Spine pain, Balance/gait problems, Musculoskeletal Medicine, and Electro diagnostic Medicine. He is board eligible in Pain Medicine.